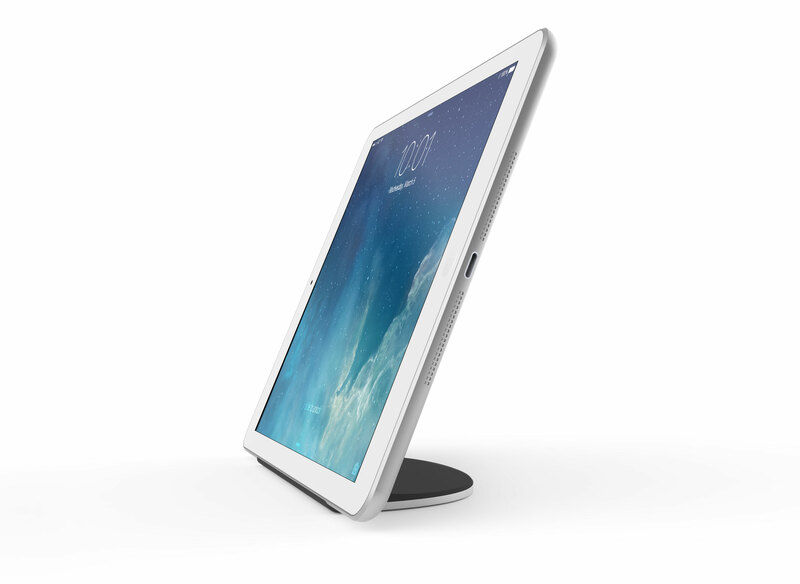 Magnus Air - Magnetic stand for iPad Air & iPad Air 2. 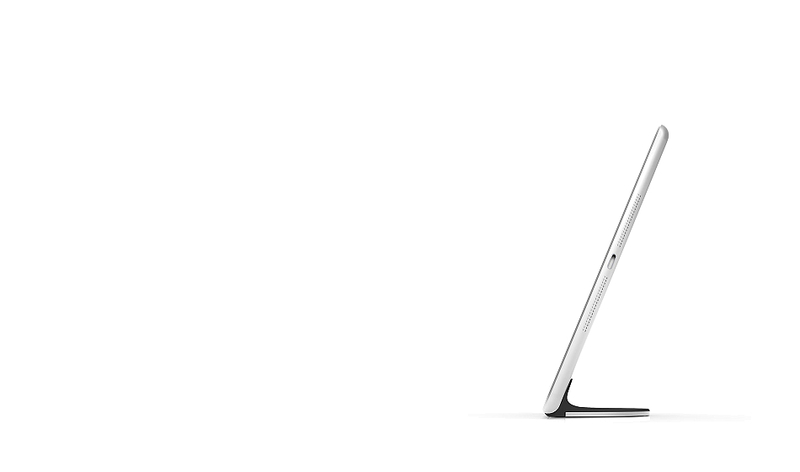 The new and improved successor to the beautiful and iconic all-aluminum Magnus for iPad. 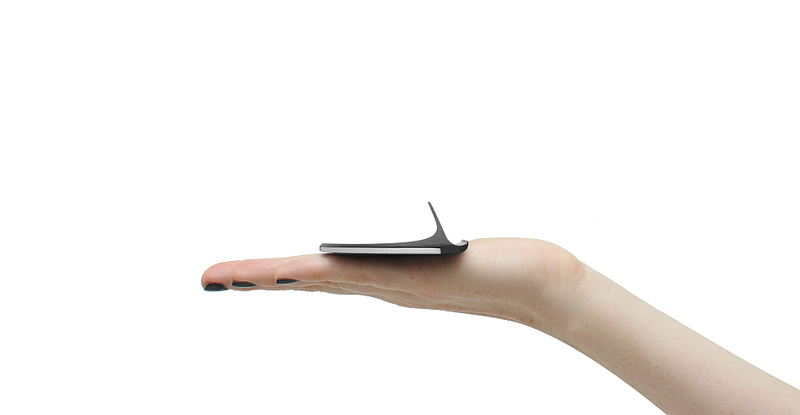 Secure, rubberized magnetic grip on iPad Air and iPad Air 2. 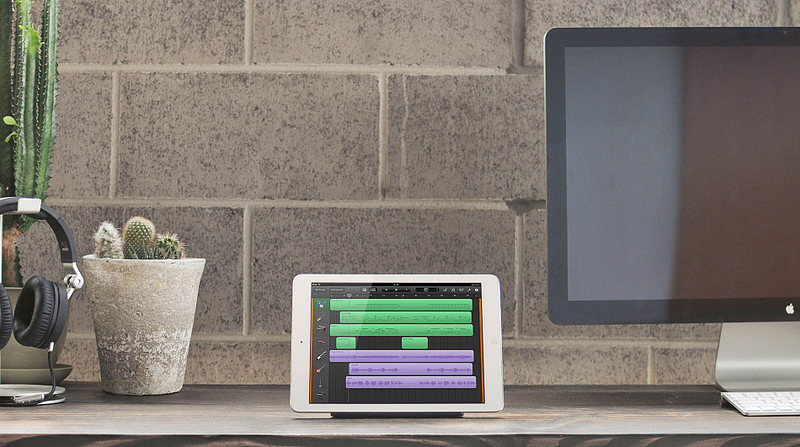 Stand moves with your iPad for easy repositioning. New horizontal option allows typing with ease. Put your display on display. 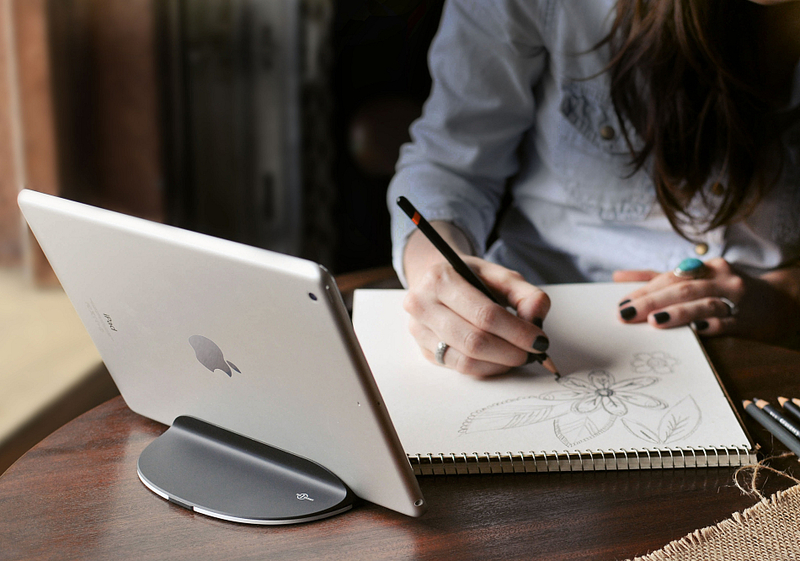 Magnus Air’s simple design keeps your content, and your mind, in focus. A throne fit for the king of tablets. Serenity that follows you. Wherever you go. Whether you’re catching up on FaceTime, tracking fantasy scores, or working on a new project for a client, Magnus Air goes where you go. And at under 2 ounces, you’ll carry more confidence, not more weight. Because not all angles are created equal. This one goes to 11. Twice. Magnus Air’s new and improved 22° angle is perfect for everything from reviewing your new chowder recipe in the kitchen to showing off photos from your latest family vacation. The new horizontal option allows for typing with ease, whether you’re responding to emails or starting the next great American novel. Tweet a photo of your iPad Air where you would use Magnus with the hashtag #MagnusMe and be entered to win a free Magnus Air. Which devices are compatible with Magnus Air? 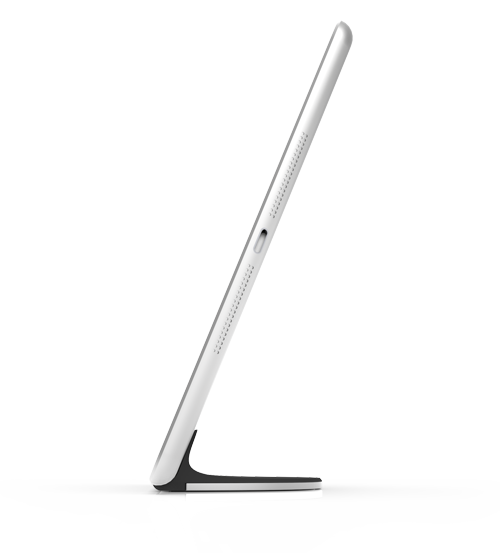 Magnus Air is made for iPad Air and iPad Air 2. We also have models available for iPad 2,3,4, and iPad mini. I don’t see any pictures with cases. Are they supported? In the spirit of striking minimalism, Magnus Air will only work with unfettered iPads. However, protective skins are ok. Does Magnus Air support portrait mode? 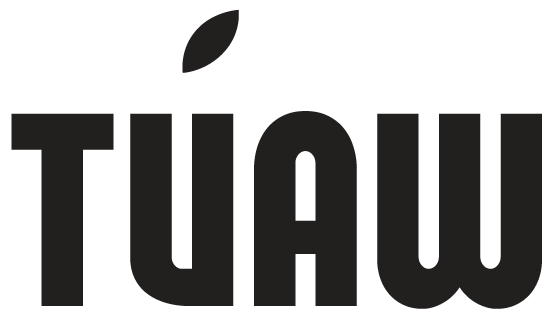 Magnus Air supports landscape mode for movies and general use. It can also be used in the new horizontal mode for typing. Will Magnus Air be compatible with future iPads? We hope so, but can’t promise anything.